The founders of Vector Unit are no strangers to game development. After working for several years at bigger companies, Ralf Knoesel and Matt Small decided it was time to form their own company with the goal of making “big games in small packages”. Games that felt like full retail experiences but were meant for downloadable services like Xbox Live Arcade and PlayStation Network. With their first title, Hydro Thunder Hurricane, that goal was achieved. With a small team of about 8 people and some art outsourcing, Vector Unit managed to create the sequel fans had been dreaming of for 10 years. This is an interview with Matt Small, co-founder and creative director at Vector Unit. He shares his views on the franchise, the upcoming DLC pack and the future. How did Vector Unit start working on a Hydro Thunder sequel? We pitched a speedboat racing demo to Microsoft. They were interested in it, but the more we talked about it the more the idea kept coming up of making it a sequel to Hydro Thunder. Microsoft got the license from Warner Brothers, and we tweaked our original design to make it fit with the Hydro Thunder style of gameplay. What do you have to take into account to modernize a classic arcade franchise like Hydro Thunder? Well, graphically the machines today are much more powerful than they were over 10 years ago when Hydro Thunder came out, so we knew it had to be cranked up visually. Also we wanted to do a lot more with the water physics, make the waves and boat wakes feel more interactive and realistic. We also set out early on knowing we wanted to have an 8 player online experience, which the original game didn’t have. Aside from these new elements, we also knew we had to capture certain elements of the original game to be a true sequel to Hydro Thunder. Stuff like huge jumps, giant drop offs, crazy shortcuts, fast speeds, the boost mechanic, all of that. We spent a lot of time on our first level (Lake Powell) to make sure that we had the formula right before moving on to the rest of the levels. 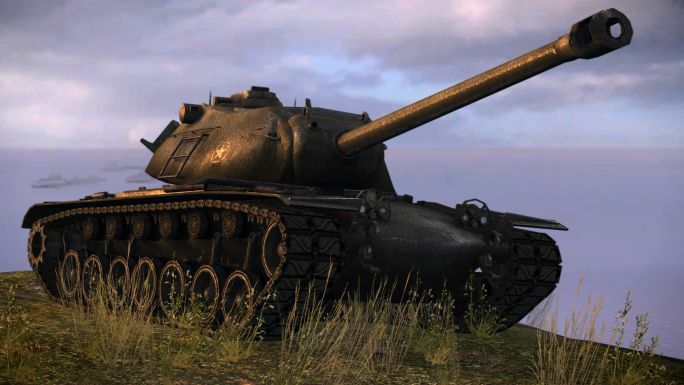 How do you feel about it having been included in the “Summer of Arcade” promotion? We loved it! It was a nail-biter right up until the last minute when the decision came back from Microsoft. Obviously there are a lot of titles competing to be in Summer of Arcade, so we were extremely honored and excited that Hydro Thunder Hurricane got picked. The race tracks in Hydro Thunder Hurricane are truly original and lots of fun. Could you tell us about the process you went through designing them? Were there any cool ideas that had to be cut because they didn’t work like you expected them to? Thanks! At heart, every level has to be first and foremost a race track, with good driving lines and interesting shortcuts. But on top of that a Hydro Thunder track needs a theme, and has to be packed with tons of surprises and weird animated stuff like the UFOs in Area 51 or the Thor hammer-god in Storming Asgard. It’s kind of like the log ride at Disneyland — it has to be exciting, but it also has to tell a story. We started off each level talking about the theme we wanted, what the story of the level would tell. Then we’d build a block world, a really low-poly version of the race track to refine the racing experience. Then we’d add the details, layer in the extra stuff like animated props. And as we worked on each level, we played it a lot with the AI and in multiplayer, to make sure the whole thing stayed drivable and fun. Usually a few ideas would get added as we worked, like the jumping dinosaur in Monster Island. There were plenty of ideas we came up with that got tossed because of time or because they just didn’t make sense. We wanted to have the UFOs in the alien planet in Area 51 tractor-beaming cows that they’d abducted from Earth, and dropping them on the race track, but in the end we decided there was already a lot going on in that section so we nixed it. Some of the Ring Master events are very unforgiving. Few players seem to have the golden delicious and medal master achievements. Did you expect that from the start? We knew the Expert Ring Masters were hard when we made them. We wanted there to be an extra level of challenge for players that really wanted to get everything out of the game. But in retrospect I think we made them a little too hard — if we had it to do over again, I think we would have made the Expert rings a little bit bigger, and maybe the requirements for medals a little more forgiving. As it is, it’s still fun but you’re right — it’s pretty hard. A lot of people seem to stick to the expert boats in online races while the rest are neglected for not being very competitive. Is this something you’re expecting to change? I think players online want every advantage they can get, so it’s natural that everybody gravitates to the Expert boats. The Pro and Novice boats are still there to level the playing field if you’re really good and want a challenge when you play against newcomers. The Tempest Pack DLC (which comes out on Oct 27), is going to include 2 brand new Expert boats, Psyclone and Whiplash, as well as 6 “X boats” — retuned Expert level versions of the Pro and Novice boats from the base game. So there will be 11 Expert boats to chose from in all, which will make it a lot more interesting and varied. Some players complained about the way boost works on online races, since it seems to punish the better players with less boost. Could you explain how boost works in online races and why you implemented it that way? Sure, I just wrote a blog entry about that actually. Basically when we playtested the game we noticed that the really good players always beat the newcomers, and it got kind of boring for everybody. New players were frustrated that they never won, and expert players got bored because there wasn’t enough challenge — they always won by a mile. So we implemented the loser helper system, which gives more boost to the players in the back. Just doing that wasn’t enough, however, because the way the boosts work, you can pretty much boost the whole way if you know what you’re doing. So we had to shave a little off the leader’s boost so they weren’t able to boost constantly. I think the overall experience is better for it. Races are usually challenging and really close, and there’s still enough room left for skill — the best players still win pretty consistently, but they win by a second instead of by 10 or more seconds. The key is managing your boost, and keeping track of where the other players are, so you don’t run out of boost when you’re gunning for the finish line. When you enter an online lobby, sometimes a player’s status will read “spectator”. What does that mean, exactly? That’s actually some code we put in preparing for the Tempest Pack. The Tempest Pack is going to come in a full paid version and a free version. If you want to play online with somebody who has the DLC installed, you have to at least download the free version, which lets you see the DLC boats other people are racing with. If the host has the full version and you only have the free version, and the host picks a DLC track, you don’t get to actually drive the track — you go into Spectator Mode, which lets you watch the people who have the full version race. We figured this way everybody gets to play together, even if some people haven’t bought the DLC yet. And in Spectator Mode you get to preview the DLC tracks and see what they’re like. Hopefully that wets your appetite to buy the full version! Vector Unit has a DLC pack coming out soon called the Tempest Pack. Can you tell us what’s included? It has 3 new tracks — Atlantis, Castle Von Boom, and Bermuda Triangle. All of these come with Ring Master and Gauntlet versions, as well of course as Race. There are also new championships, including the Tempest Championship where you drive through every track in the game. As I mentioned before, there are the two new boats plus the X boats. The new boats are cool — Whiplash is sort of a futuristic v-hull that has great maneuverability, and Psyclone is like a swamp boat on steroids. The new boats come with multiple skins, and we also included a new skin for each of the existing boats. 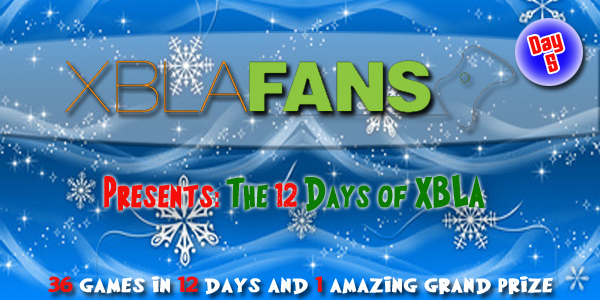 On top of all that, there are 3 new achievements you can get, for another 50 Gamerscore. What can you tell us about the new tracks? Atlantis takes place around a bunch of sunken Greek ruins, in the midst of a volcanic upheaval. New paths open up as you drive around and parts of the island break away. Castle Von Boom is like a demolition derby track. There are a tons of exploding barrels you have to avoid or push other boats into, as well as a long section of cross-traffic, where you drive into oncoming traffic. 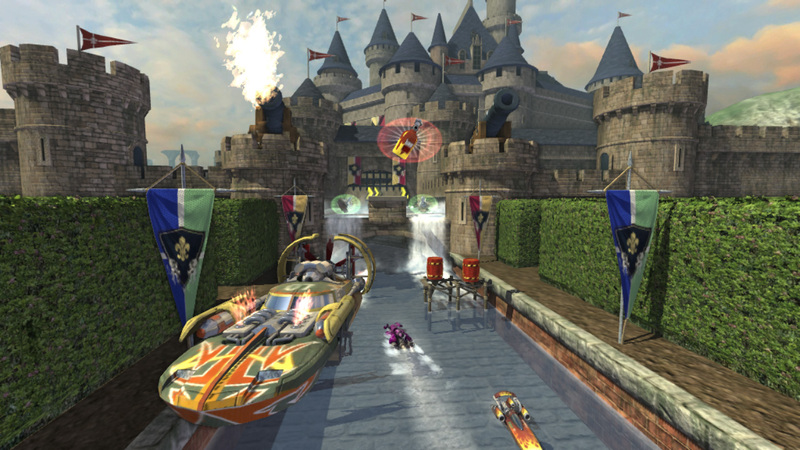 It also has a couple of triggerable cannons that shoot cannonballs into the middle of the racetrack. Bermuda Triangle is our stormy track. We wanted to take the big waves in Asgard to a new extreme, so we set this basically in the middle of a hurricane with giant waves on an open ocean. Partway through the map you drive right down into a giant whirlpool, and — well I’ll leave the rest of it as a surprise. What class are the new boats? How would they compare to say, the Rad Hazard? The new boats are all Expert class. We tuned them so they are just a teensy bit better than Rad Hazard. How much will the pack cost and when will it be available? It’s going to be 400 points, and it will be available on 10/27. 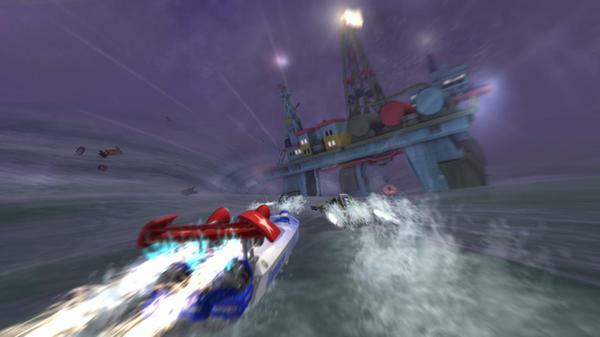 Are you planning to release more DLC packs for Hydro Thunder Hurricane after the Tempest Pack? We don’t have any definite plans yet, but we would like to. I think we have to wait and see how the first one does. What are your thoughts on a Vector Unit developed Arctic Thunder Sequel? Ha, I think that would be cool. Especially if we could ship it with a fan that blows cold air in your face. Arctic Thunder was a great game, and I personally love ice and snow levels, so I’d be pretty into it. That said, we have a new original ideas that we’re working on, and I’m pretty exciting about working on some of those. What’s the future of the Hydro Thunder franchise? I’m not sure. Of course we would love to work on another one, but we’ll have to see what happens. Microsoft gets to make the call on that one. And the future of Vector Unit? Well, Hydro Thunder Hurricane was our first game. Now that we’ve got that under our belts, I’m hoping more doors will open up for us to work on some new original titles. We’re currently working on some new concepts and testing out game prototypes, and then we have to find a publisher to fund one of them. 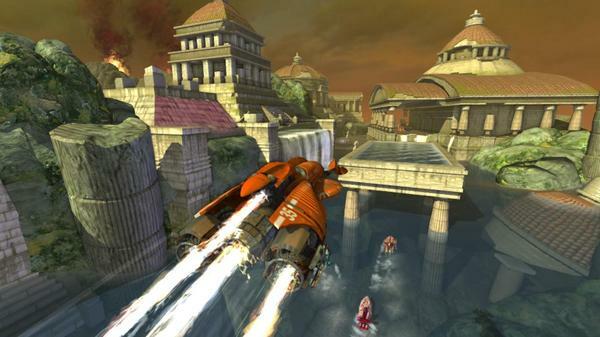 We’re really happy with the way that Hydro Thunder Hurricane was received by gamers and reviewers. Working on it was probably the most fun I’ve ever had in the game industry, and I’m looking forward to whatever comes next! We’d like to thank Matt Small and the team at Vector Unit for taking the time to answer our questions.